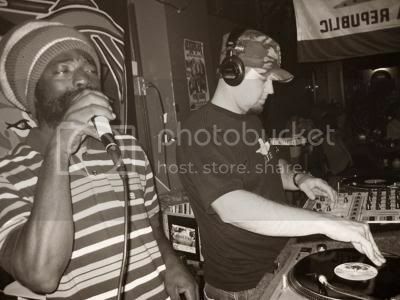 IPOWER SOUND SYSTEM is an original REGGAE SOUND SYSTEM that has been blessed by Jamaican and Californian influences. The SOUND is based out of San Luis Obispo, California and is gaining a MASSIVE presence through the WEST COAST with their conscious vibes. The IPOWER SOUND consists of the REAL BORN Jamaican and Recording Artist KING JAH and Selector DRAKEe. Be on the lookout for the IPOWER to grow as this is just the beginning.. RASpesct to all SOUNDs and SELECKTORS... and MASSIVE big ups to all of the IRIE' RAGGAMUFFIN warriors... WORLDWIDE.